Speaking to investors during an earnings conference call, TSMC co-chief executive C.C. Wei claimed "In terms of shipment units, high-end smartphones are decreasing for this year." Brands and types of smartphone were not broken down by the firm, but TSMC is known to be a key supplier to Apple, providing it with the A-series processors used in its iPhones, iPads, and other devices. Earlier this month, reports surfaced claiming TSMC has made a deal to continue being the sole provider of A-series chips to Apple, beating Samsung to secure the "A12" orders. Current speculation suggests the new chip will move from the 10-nanometer process used in the A11 Bionic to a 7-nanometer process, shrinking the die to pack more performance into the chip and possibly to improve overall power efficiency. While the premium end of the market is thought to reduce, Wei is still optimistic on the mobile segment, reports Nikkei Asian Review, suggesting "Mid-to-low-end smartphones will increase by several percentage points." Overall, Wei warns TSMC's wafer revenue for mobile devices will be flat compared to 2017. Manufacturing for mobile devices makes up a considerable amount of TSMC's revenue, reportedly accounting for half of the 977.45 billion New Taiwan dollars ($33 billion) it earned in 2017. For 2018, TSMC believes it will have a strong year despite the supposedly weakening mobile market, and expects revenue growth of between 10 and 15 percent. Recent supply chain rumors claim there will be a reduction in orders for components used in Apple's iPhone X, iPhone 8, and iPhone 8 Plus in the first quarter. While thought to be a seasonal depression, with the existence of three flagship Apple devices complicating matters, this does not necessarily offer any indications relating to component supplies for the rest of the year. Rather than from the mobile market, TSMC's revenue growth may come from its other businesses interests, including the cryptocurrency mining industry, and the increased use of AI applications in data centers and in electronic devices. On the cryptocurrency side, the Beijing-based Bitmain has become one of TSMC's best clients since the second half of 2017. The firm specializes in bitcoin mining chips and solutions, and has grown to account for between 3 percent and 5 percent of TSMC's revenue in the third quarter, as well as controlling between 70 and 80 percent of the mining chip market. Due to the volatile nature of cryptocurrencies, TSMC Chairman Morris Chang warns the company "is not going to add capacity for digital currency mining specifically." Estimated revenue from cryptocurrency mining was not provided, but it was revealed revenue in the sector was between $350 million and $400 million in the quarter ending in September. 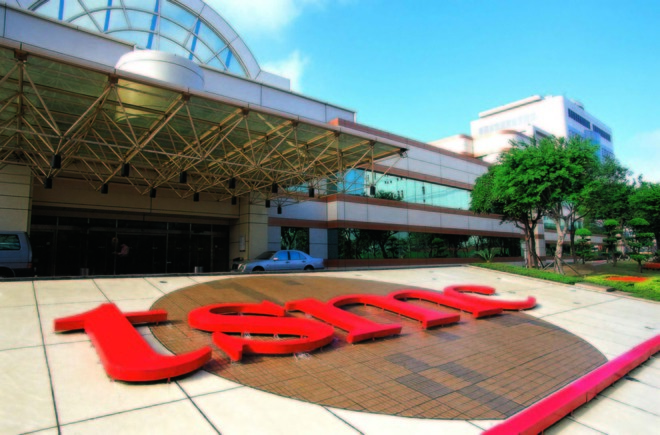 In the quarter ending in December, TSMC reported revenue of NT$277.57 billion ($9.41 billion), an increase of 5.9 percent year-on-year and a new record for the company.